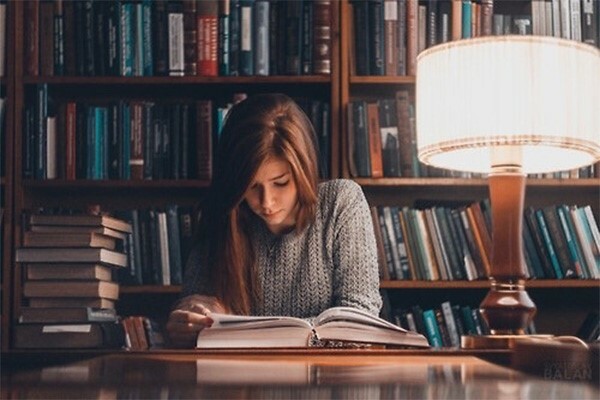 Most universities in the UK offer an English Literature degree which typically involves looking at a wide range of novels, plays, and poetry from various periods of history. But don’t feel limited by the title English Literature if you love reading but want to do something a bit different than what you’re already familiar with. There are so many degree courses that allow you to study literature in some shape or form. Some Modern Languages courses, Classics (which you can often pick up at university if you haven’t had the opportunity to study Latin or Greek at school), and some American Studies courses offer options focused on literature. Even choosing something like Film Studies, History, Politics, or Philosophy often means that you’ll be spending some time engaging with relevant novels and plays. If you’re interested in studying literature, I would suggest thinking about what kind of books you like most and then looking for a course that will enable you to study them. What is studying English literature like? Studying literature at university is very different to doing English Literature at school, where you often spend a whole term looking at one novel or play with your whole class, making detailed notes about characters, plot, and literary techniques. University is a different ball game: you study multiple texts every term and have to be a lot more independent. There isn’t any time in seminars for reading the whole novel out loud so you’re responsible for reading and understanding the basics before heading to class for discussion. University courses require you to create links between the texts you’re discussing and to compare them whilst learning about the history of literature and the development of genres along the way. You’re expected to find out a lot more about the historical and social context in which a text was written and what critics and scholars have said about it. You’ll learn new ways to approach texts, for example focusing on the representation of gender or sexuality, and even more about different techniques that writers use to create their work. Literature courses are usually assessed by a mixture of coursework and exams, although the proportions vary according to each course and university. This is something to bear in mind when making a shortlist of courses. After discussing texts and approaches in seminars or classes, you’ll have time to write your coursework essays or to consolidate your knowledge for exams. In your final year, you often have the chance to write a dissertation, a long essay which allows you to focus on an area of your own choice and to choose your own title. This might sound like a lot of challenging work but as you go through your course, you get used to your workload and how to go about finding out the information you need to succeed. The more essays you write, the more opportunities you have to hone your writing style and ideas. Whilst literature students tend to have fewer contact hours than those who are studying, say, science, lecturers offer office hours and are generally happy to respond to questions via email outside of official contact hours. What jobs can I get with an English degree? It’s easy to assume that a graduate who has studied literature can only go on to become a teacher or to do further study, but this isn’t the case at all. The analytical, research, and organisational skills that you gain from a literature degree are popular with employers everywhere. Publishing, marketing, journalism, the arts, and advertising are all popular choices for literature graduates because you’ve shown that you understand how language and words work, and that you’re a good writer. Don’t forget that many jobs don’t ask for a specific degree subject, so you can apply for positions with all kinds of companies and charities. It’s also possible to change direction entirely on graduation by going for a graduate job in, for example, accountancy, where you’ll receive training on the job and be supported through professional qualifications. Seeing as so many jobs don’t require a specific degree, it’s worth taking the opportunity to study something you love for a few years. Why else should I study English literature? Reading about people, their thoughts, and why they do things is fascinating and helps you understand yourself and the people around you. It’s easy to assume that books that were written hundreds of years ago are just old and no longer relevant, but humans haven’t changed a bit. We might have more technology than ever before, but we still have the same emotions and problems as people did during Shakespeare’s time. That’s why A Midsummer Night’s Dream is just as funny today as it was when it was first performed and why we’re still captivated by the love story of Romeo and Juliet. Literature also gives you an insight into the context in which it was written: studying poetry written during the First World War, for example, shows you what life in the trenches was like and reading texts like Thomas More’s Utopia and George Orwell’s Animal Farm gives you different ways to think about society and how it can be organised. Reading is a great way to learn more about history and politics! Having to think so intensely about why authors construct their texts in the way they do will help you to improve your own written work and widen your vocabulary. You can have so much fun comparing plays to performances of them on the stage or novels to their film adaptations and literature students often end up getting involved in other creative ventures on the side. Lastly, if reading is one of your hobbies at the moment, what could be better than picking a degree which means that you get to do your hobby full time? Written by - Jess A.